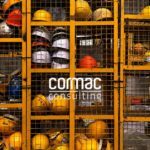 Cormac Consulting specialises in recruitment and headhunting of Professional and Technical staff for the Mining and Resources Sector. 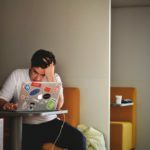 Unlike mainstream recruitment agencies, we partner with our clients to offer a unique and personable experience that delivers the best talent out there. Having partnered with major international mining operators, mining consultancies and major investment organisations to solve staffing needs, Cormac understands the intricacies of our clients’ sites, culture and practices, and sources candidates that match those unique requirements. We deliver results through an extensive existing and active network within the Australian Mining sector. Our flexibility and availability to partner up with you to meet targets within specified timeframes, a systematic approach in targeting viable candidates and a wealth of industry knowledge will ensure you get the right capabilities and culturally aligned talent to grow your business. We conduct ourselves with honour, truthfulness and openness in all our relationships, both internally and externally, with colleagues, clients and candidates. What we say is what we do and we pride ourselves on upholding the highest professional standards. We are always learning and improving. We strive for new heights, continue to challenge assumptions and strengthen our reputation through creativity, courageousness and open-mindedness across all interactions. We know that great people are the cornerstone to success. To attract, engage, develop and retain the best, a complete approach is required. Our practice is intimately interconnected, enabling us to see things differently and discover new solutions. This is our motto. We value your time and our time, and ensure that each interaction is meaningful and outcome driven. Using our knowledge, skills and networks, we set to lead the market and achieve the best with minimum wasted effort or expense for our clients.